We had learned many theories or thinking processes in the creativity and innovation field. However, most of them are illustrated by a more western point of view. 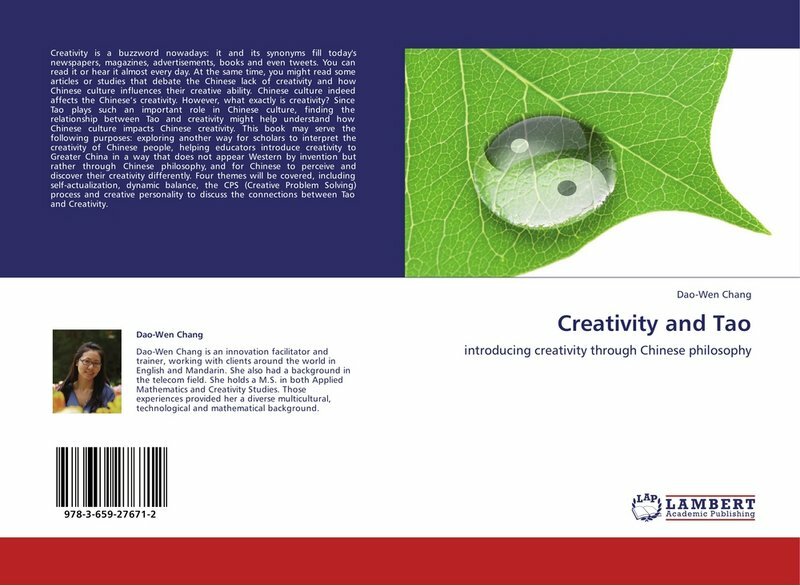 The book- Creativity and Tao- is inducing creativity through the Chinese philosophy-Tao, including some thinking mentioned in the Book of Chang, aks I-Ching. That offers people who are more familiar with Chinese culture and thinking or people who don’t tent to learn things systematically another channel to see what’s creativity and how to increase creativity during daily life. Brainstorming is the very basic workhorse of creative thinking. It’s been around for almost 60 years, and I don’t even remember when I haven’t yet heard of it, but it doesn’t mean that one cannot find new techniques which shake things up and make it more fresh and more valuable. Recently I started using two ideas, new and insightful to me, that changed my thinking and ideas a lot. Both of them is somewhat turning things upside down. This one I heard last year when listening to Phil McKinney’s talk for the 2010 StartupBus crew. When he’s brainstorming with a team for example for a new product idea (he was running the Innovation Program Office at HP), after they run out of things to add to the board, he asked which idea was the weirdest or worst. Then he took of everything else, and developed that particular one. As people say, the first half a dozen or even dozen ideas during brainstorming are the ones that are really conventional, not very creative, the ones that others are likely to come up as well. The weirdest idea is usually one that people has the biggest subconscious resistance, because it’s the furthest from their comfort zone. Thus putting the brainstorming participants in an uncomfortable situation, surprising them, and confining the scope (limitations boost creativity), they can come up with things that they would unlikely find if they just think about the ideas that they find good. This one I came across while reading Jono Bacon’s The Art of Community. The setting is that after the initial ideas, the question is posed: what would make it the worst the thing that we are trying to improve? We are brainstorming for a better cellphone? What would make it absolutely terrible? Are we thinking of improving our event? What would make it the most awful event ever? Once that is sketched out, go to all of these ideas, and turn them around – how could we avoid all of these things? The more I think about this technique, the more genius it is, for certain things. It is really naturally suited for the “improvement”-like brainstormings, for other types (e.g. articles for this blog) it is not really applicable. Where it would really shine, though, is brainstorming about improving something with a crowd whose opinion I don’t know well. It is a perfect way to see what things make people worried about a particular thing. How to improve our laboratory or work environment? Ask people what would make this is the worst lab or office ever. Very soon you’d have a lot of suggestions that probably you wouldn’t have thought normally, because those are things which are normal or even invisible to you. Also in this case, all the ideas are usable, don’t have to throw away the first dozen or so “common” suggestions – those are the ones to fix in the very first step. An additional advantage is that people love to complain, it is likely to be easier to get them contribute with negative things, and once they got going, the momentum should carry them over on the positive ideation side as well. So, what is your technique?